Power surges, lightning, and the normal distortion in the current from wall outlets can destroy your home theater system. When these events take place, it's already too late to protect your equipment. Protecting you investment should be one of your main priorities while creating your home theater system. The benefits of surge protectors are two fold; they protect the connections into your home theater system and they provide a central location for all of your power connections. Lightning strikes or power company overloads can create surges that could fry your gear. Surge protectors sacrifice themselves to save your equipment and are designed to be the weakest link in the chain from the power source to your equipment, and include circuit breakers or fuses that immediately sever the connection when a large electrical spike hits. If all your audio/video gear is plugged into a surge protector with AC outlets, you might think your system is protected. But these power spikes can also come into your home through your phone line, your cable TV line, and your satellite signal line. You'll want to make sure the power protection device you choose can accommodate all of the lines that connect to your system. A power protection component with line conditioning can remove most of this interference, allowing your system to perform at its full potential. Electromagnetic and radio frequency interference (EMI and RFI) won't fry your A/V gear, but they can hinder its performance. Devices with digital inputs and outputs, such as DVD players, receivers and LCD TVs, seem especially susceptible to "dirty power." Line Conditioners contain metal oxide varistors (MOVs), which are most widely used for absorbing the energy of spikes and surges. APC Essential A/V Surge Protector, 7 Outlet, Coax Protection Essential A/V Surge Protector, 7 Outlet, Coax Protection offers reliable surge protection for audio and video equipment. APC Essential A/V Surge Protector, 8 Outlet, Phone Line (With Splitter) and Coax Protection Essential A/V Surge Protector, 8 Outlet, Phone Line (With Splitter) & Coax Protection provides reliable surge protection for audio and video equipment. APC Premium A/V Surge Protector, 11 Outlet, Phone Line (With Splitter) & 2 Pairs of Coax Protection Premium A/V Surge Protector, 11 Outlet, Phone Line (With Splitter) & 2 Pairs of Coax Protection offers premium surge protection for audio and video equipment. ezGear ezSpace UFO Power Extender with Surge Protection ezSpace UFO Power Extender with Surge Protection has an inverse slanted design that allows one to use the least amount of space to plug in large power transformers. ITW Linx Audio/Video Home Theater Surge Protector 6 DBS Audio/Video Home Theater Surge Protector 6 DBS is to protect or disconnect circuitry safeguards equipment against all surges. 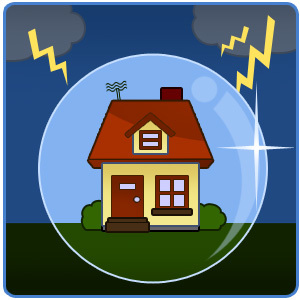 In the event of a catastrophic surge, such as lightning, it completely disconnects AC power to connected equipment. APC C Type 10 Outlet AV Power Filter 120V Power Filter provides premium surge protection and noise filtering for high performance AV systems. APC H Type AV Power Conditioner 120V Power Conditioners for High Performance AV Systems provides premium surge protection, noise filtering, and voltage regulation. APC H Type AV Power Conditioner 120V H Type AV Power Conditioner 120V provide premium surge protection, noise filtering, and voltage regulation. Leviton Audio/Video Home Theater Coax Module for 5950 Surge Protector Audio/Video Home Theater Coax Module for 5950 Surge Protector is an expansion module for 5950 Modular Surge Protector. Provides 1 pair of In/Out F connectors for cable TC systems. Tripp Lite Video Home Theater Coax Cable Line Protector for TV And VCR Connection Points Video Home Theater Coax Cable Line Protector for TV And VCR Connection Points. Leviton Audio Home Theater Interface Wall Plate Audio Home Theater Interface Wall Plate provides a convenient method of terminating in-wall speaker wires to installed speakers and cables from amplifier speaker outputs. The wall plate also provides for the connection of up to two sub woofers and has two QuickPorts that can be used for any of the full line of QuickPort jacks. Tripp Lite Coaxial/Satellite System Surge Suppressor Loaded with a generous combination of high quality components, near indestructable all-metal case and unique noise filtration system, the Isobar offers the highest level of protection attainable in a multi-outlet strip. Leviton Office Machine Multimedia Home Theater Surge Suppression Panel Protecto Office Machine Multimedia Home Theater Surge Suppression Panel Protector.